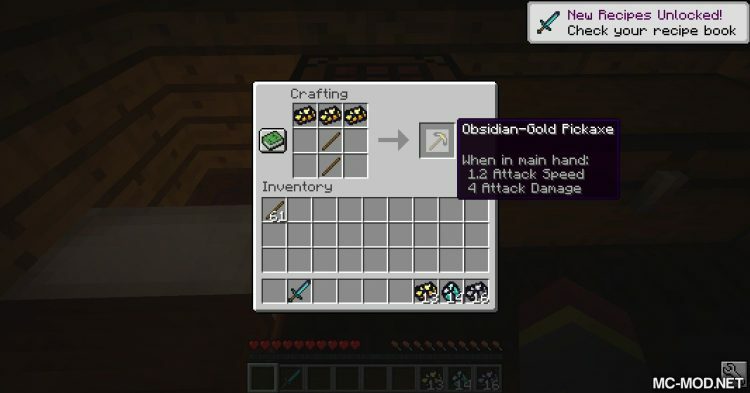 Immortal Obsidian Mod 1.12.2. 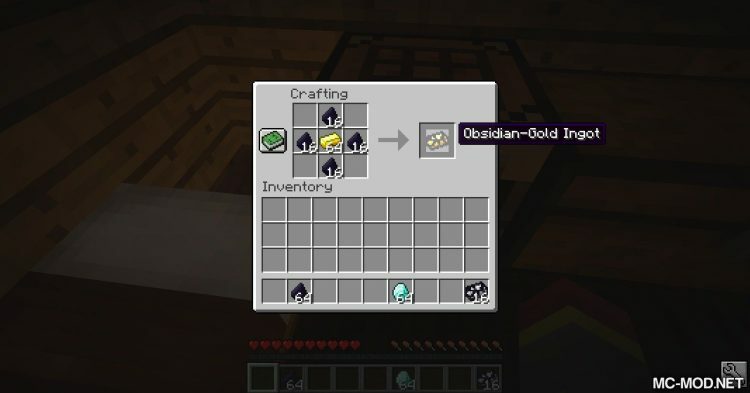 Obsidian is one of the items that are not rare but very difficult to obtain. 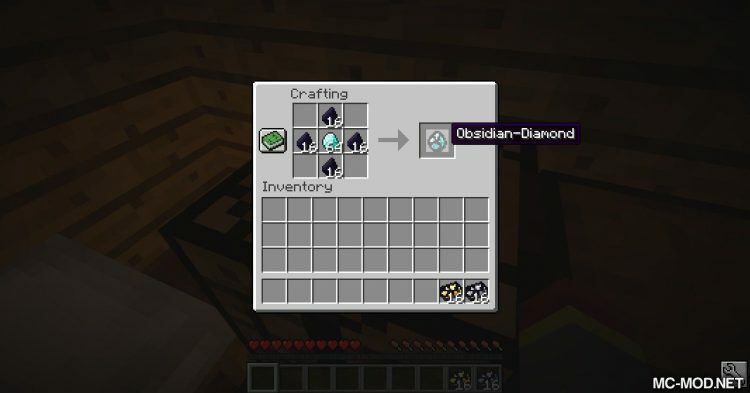 The reason is that you need a Diamond Pickaxe to be able to dig it, and digging it also takes a lot of time. 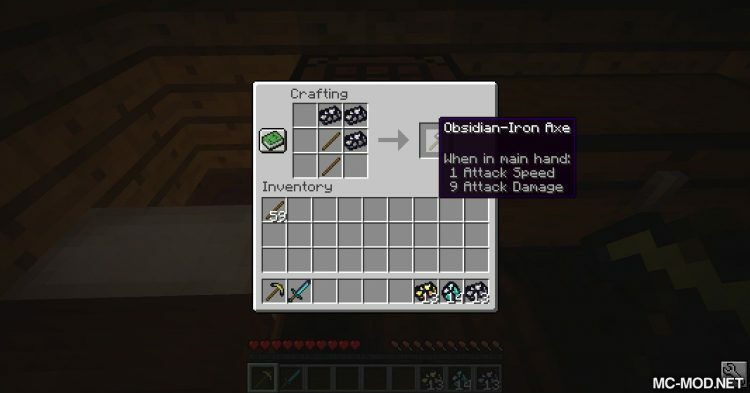 However, Obsidian is not very useful. 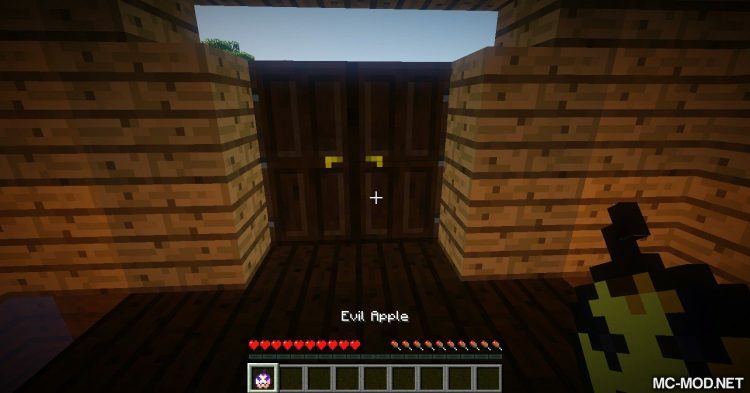 Its main purpose is to build the Nether Gate. 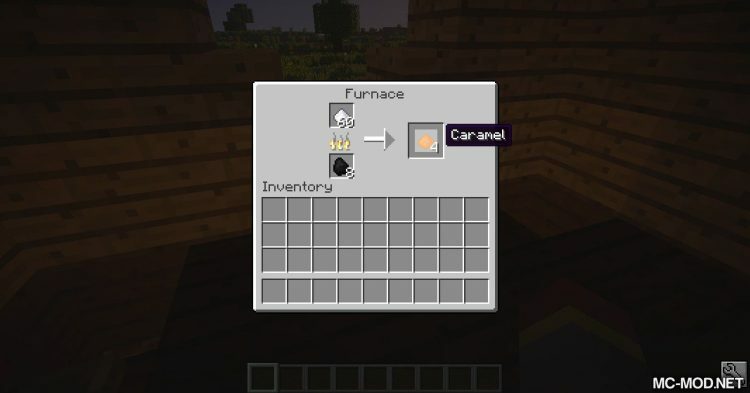 In addition, it is used for crafting Enchanting Table, Beacon, and Enderchest. 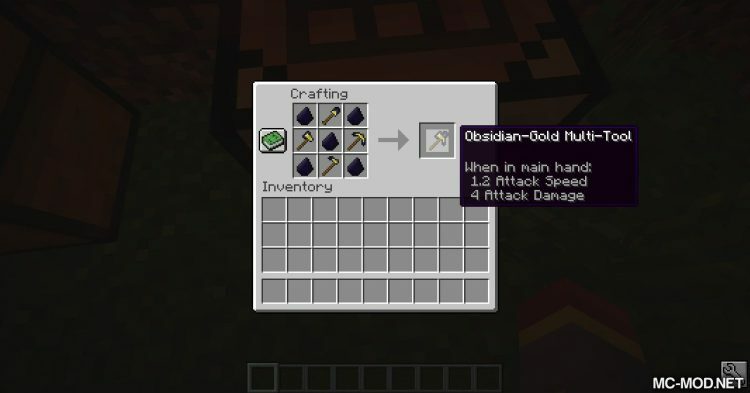 Immortal Obsidian will change this. 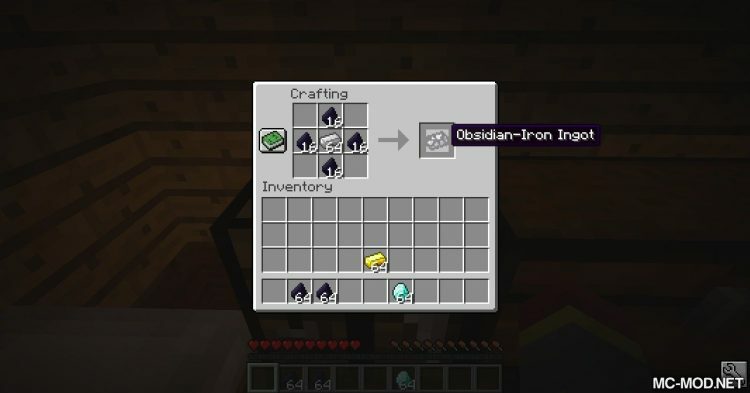 Immortal Obsidian adds to Minecraft a new ore named Obsidian Ore. Obsidian Ore will fall out of the Obsidian Flake when exploited, and from Obsidian Flake will be used to fabricate a variety of equipment (this means you will not need to use Obsidian). 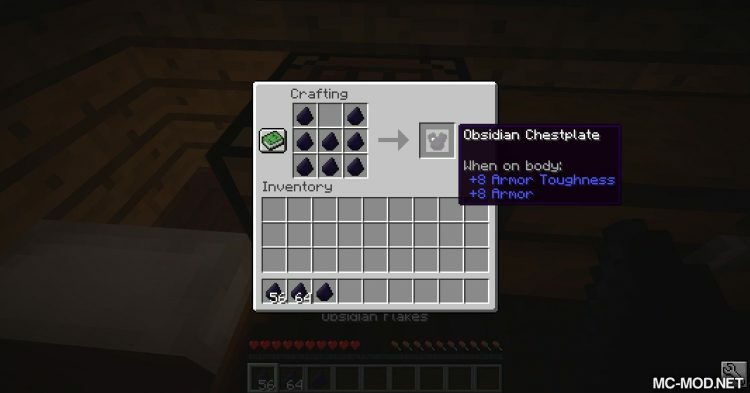 Obsidian Flake can be used directly to build armor from Obsidian. 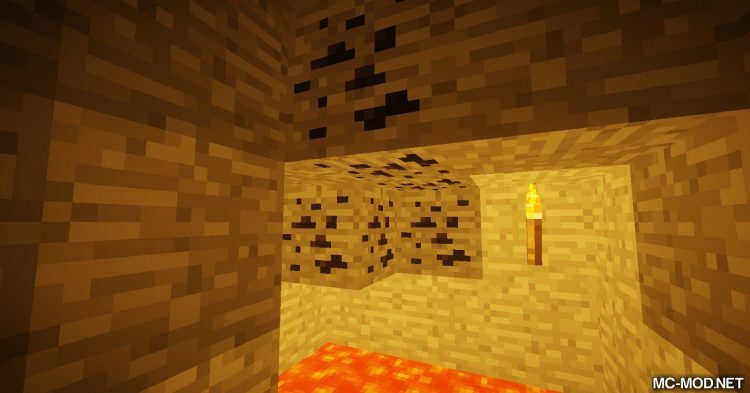 In addition, it can be combined with three other minerals, Iron, Gold, and Diamond. 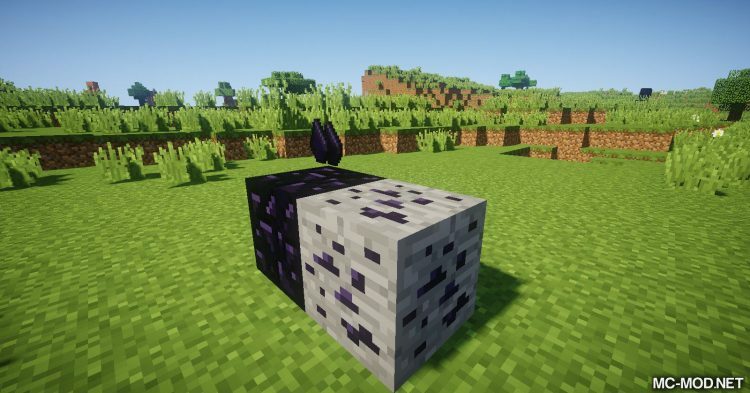 When these minerals are combined, it is possible to create new tools. 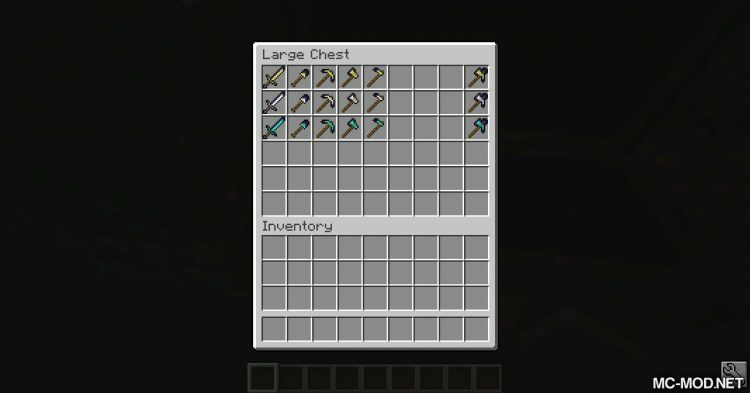 In these tools, there is a tool called Multi-Tool. 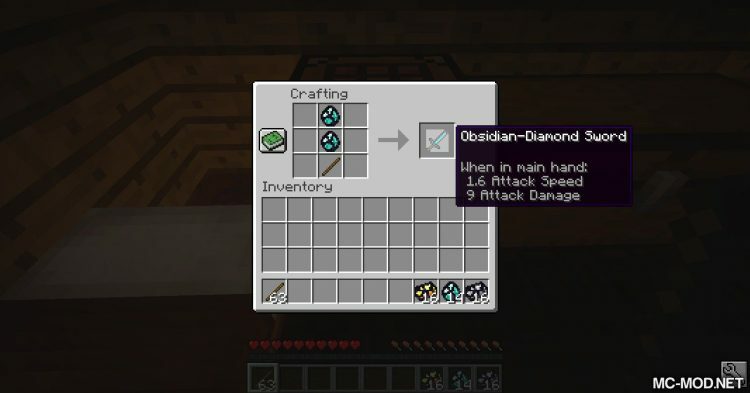 Multi-Tool has the ability of all other tools. 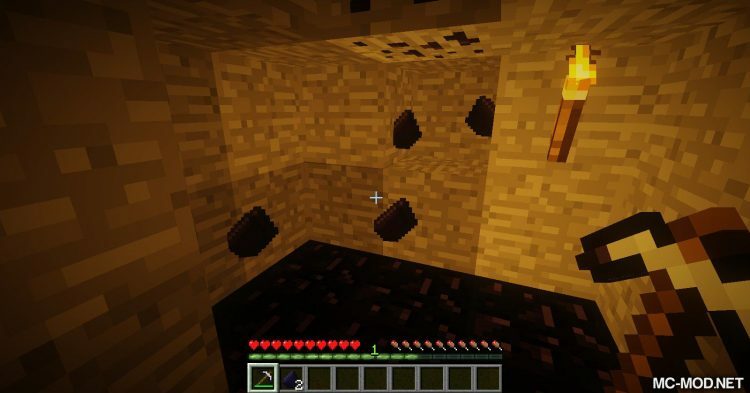 It’s a sword, an axe, a pickaxe, a shovel, and a hoe! The mod also added an apple called Apple Caramel again. 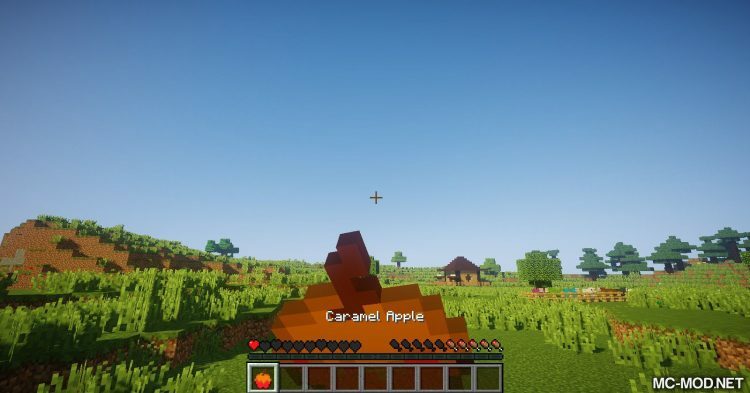 The author of the mod is still developing it so hopefully, there will be more new stuff waiting for us! 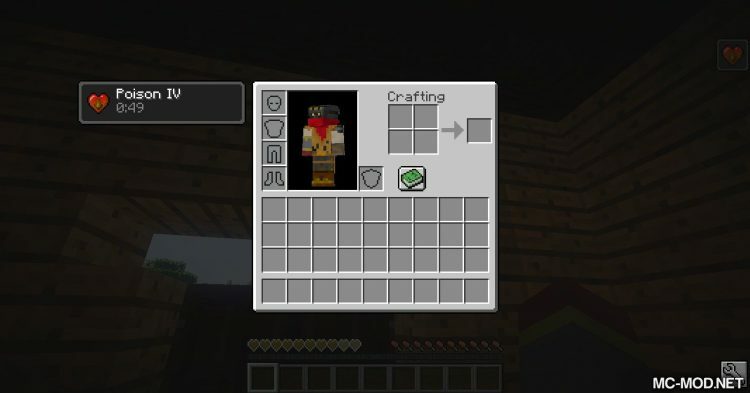 Have fun playing the game!